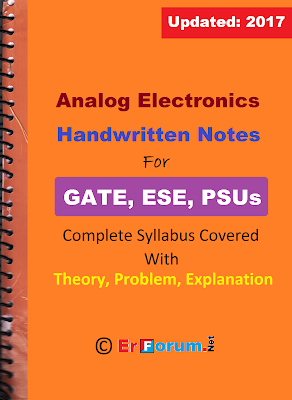 Good Quality Latest Hand Written Notes of Analog Electronics is Available in PDF Format. Syllabus of GATE, ESE, PSUs. Covered. Theory, Problem, Solution and Explanation deals in an easy way. This note is written in a very neat and Clean way, no blue mark, Print Friendly Version.